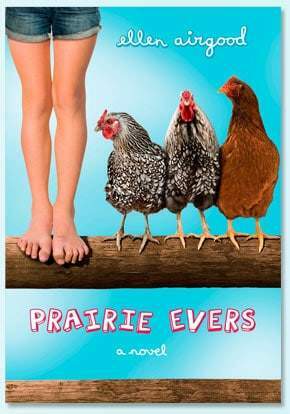 Prarie Evers is a sweet, spirited ten-year-old who embarks upon the adventure of first friendship in this sparkling middle-grade novel. School is a jolt for Prairie until she meets Ivy, her first true friend. But while raising chickens and the great outdoors have given Prairie wisdom and perspective, nothing has prepared her for the give and take of friendship. When Prairie finds out that Ivy’s home may not be the best place for Ivy, Prairie must corral all her optimism and determination to hatch a plan to help. Ellen Airgood has also written the adult novel, SOUTH OF SUPERIOR, which has been a popular book in Northern Michigan. For further information, please contact Jill Beauchamp at read@horizonbooks.com.